Data Science is about discovering hidden patterns (laws) in your data. Observing your data is as important as discovering patterns in your data. Without examining the data, your pattern detection will be imperfect and without pattern detection, you cannot draw any conclusions about your data. Therefore, both ideas are needed for drawing conclusions. Study the variables. What is the problem about? What are the target variables and what do the variables represent? Variable analysis. We will focus on the target variable and predicting variables and try to clean up as many variables as possible. Machine Learning. Here we will build and test our pattern detection algorithm. Yay! So there are roughly 80 variables. That is a lot and we probably don’t need most of them. The ‘SalePrice’ variable is our target variable. We would like to predict this variable given the other variables. What are the other variables and what are their types? At this point, I will not throw away any variable unless it does not give any information. Now let’s take a look at which variables contain lots of NaNs. We will dump these variables since they do not contribute a lot to the predictability of the target variable. To simplify the problem, we will throw away any variable with a missing column. This will make our prediction worse, but this also ensures we do not have to make any assumptions about these variables (which could also be dangerous). Here we will do a quick analysis of the variables and the underlying relations. 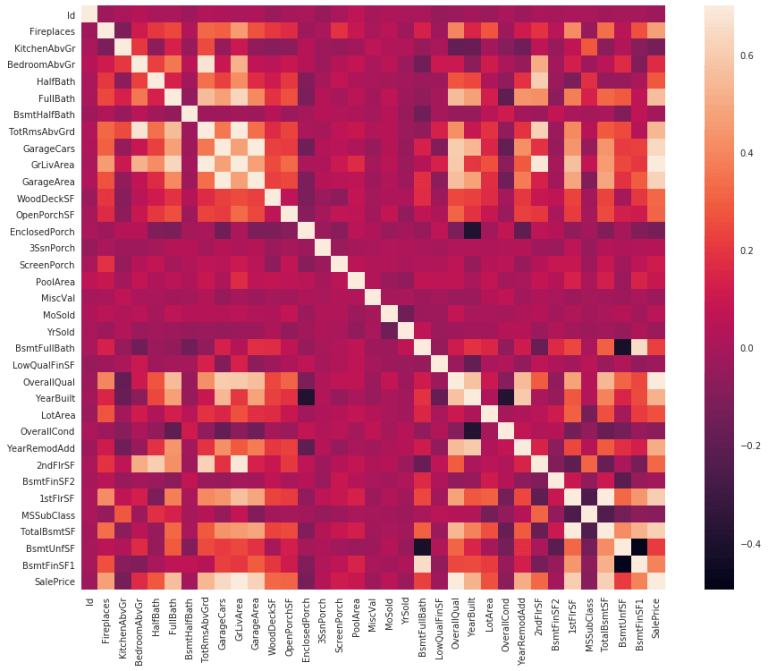 Let’s build a correlation matrix. Now we can zoom in on the SalePrice and determine which variables are strongly correlated to it. Nice! 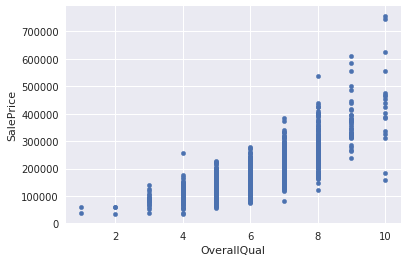 So apparently, the overall quality is the most predicting variable so far. Which makes sense, but it is also quite vague. What is exactly meant by this score? Let’s zoom in on the most predicting variable. Okay, the trend is clearly visible. Now let’s analyse all of our variables-of-interest. This plot reveals a lot. It gives clues about the types of the different variables. There are a few discrete variables (OverallQual, GarageCars) and some continuous variables (GrLivArea, GarageArea, TotalBsmtSF, 1stFlrSF). We will now zoom in on the heatmap we produced earlier by only showing the variables of interest. This could potentially reveal some underlying relations! I see definitely some clusters here! GarageCars and GarageArea are strongly correlated, which also makes a lot of sense. Furthermore, TotalBsmtSF and 1stFlrSF are also correlated which also makes sense. And we intended to only use variables which were correlated to SalePrice which is also visible in this plot. Great! Now we will start with some Machine Learning and try to predict the SalePrice! In this chapter, I will use a Random Forest classifier. In fact, it is Random Forest regression since the target variable is a continuous real number. I will split the train set into a train and a test set since I am not interested in running the analysis on the test set. Let’s find out how well the models work! A deviation of $23K,- which is mainly due to the extreme outliers, not too bad for a quick try! This is definitely something to keep in mind when buying a house! 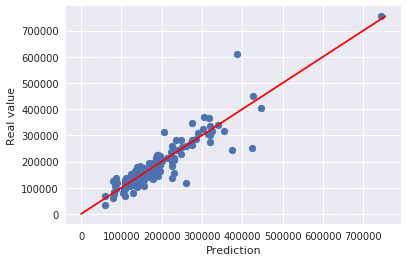 With the help of just a Random Forest Classifier (which is in fact Random Forest regression), it is possible to predict the house prices fairly good! So, if you are about to buy a house, please contact me! 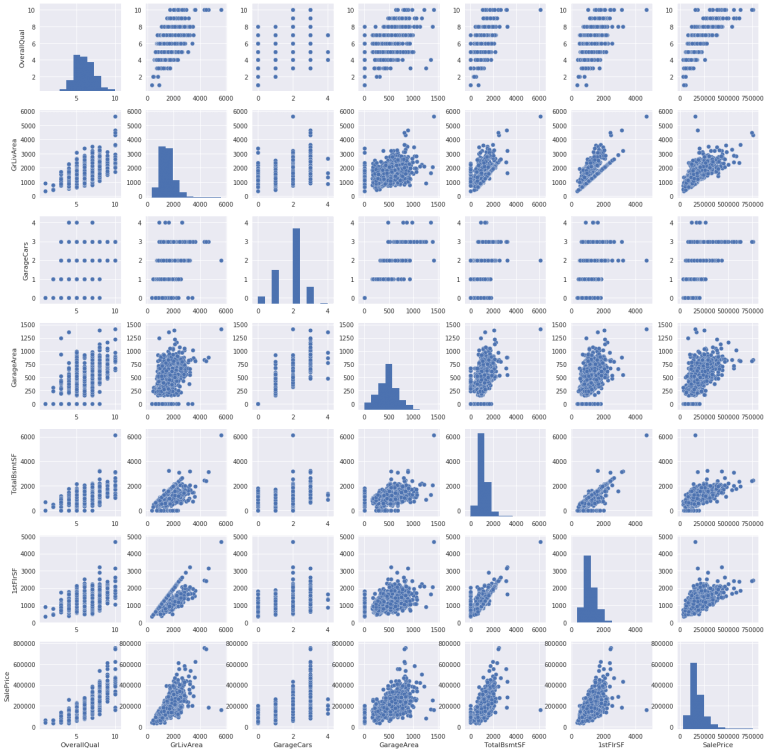 Oh, and if you are interested in learning more about Pandas, definitely check out this article. If you are interested in writing an article on Data Blogger, please do so here! Yes, you will get paid :-). The description of the competition can be found on Kaggle and my final notebook can be found here. Interested in predicting the value of your car? Then definitely read this article which uses a Neural Network for the price prediction. 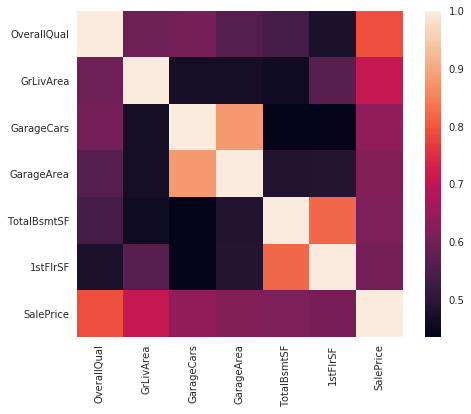 Another article on another Kaggle competition about restaurant reservations can be found here.